Although it can be time-consuming and expensive, tire replacement is a necessary part of car maintenance. When you bring your car in to get the tires serviced at Metro Nissan of Montclair there are several things we will do. We will check how worn down the tread is and if there are any bald or damaged areas. Another part of a routine tire check is rotation- switching the tires around, so they are worn evenly on the road. If one or more tires need replacing, the tire replacement cost will include the cost of the tire or tires and fitting. If you are unsure if it is time for replacement tires, your vehicle's mileage is a good indicator. Tires are safe for a limited time, at which time they will need replacing. Need help choosing the right tires for your vehicle? Our team of highly trained professionals has the passion and knowledge for your tire requirements. 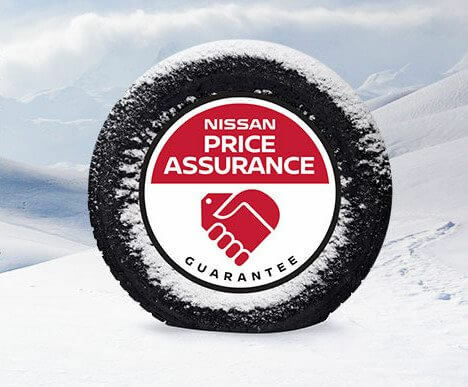 Metro Nissan Montclair has been devoted to delivering the finest customer service and sourcing the highest in quality tires obtainable. Browse our website to see the tire specials and deals we have on offer. Pick up the phone and call us. Alternatively, send us an email outlining your needs, and we will reply with a solution. The ability to control a vehicle depends on the grip between the tires and road surface. Tires do not require tread designs or even considerable tread depth to provide grip on dry surfaces. However, tires do require tread designs with sufficient depth to generate traction on wet, snow-covered and slushy roads. So tread design essential to guide water and slush from between the tire and the surface of the road. When water pools on the road surface, the depth of the water, the speed of the vehicle, and weight of the car, as well as the design and depth of the tires' tread mutually govern when and if the vehicle will hydroplane and how quickly a vehicle can stop in an emergency. Naturally, the tire tread will wear down over the life of the tire, and decrease the depth of its grooves. While this occurs so slowly that you will not notice it visibly on a day-to-day basis, eventually there will come a time when you will detect the car slip in the snow, aquaplane in the wet or just not stop in as efficiently on slippery surfaces. If the water is unable to escape fast enough, your tires will be forced to aquaplane (float) on top of the water, resulting in a loss of traction and increased stopping lengths. As a rule of thumb, different tire types should not be on a vehicle simultaneously. Owners should not mix tires with different tread designs, internal structures or sizes, and use matching tires on all of the vehicle's wheels to sustain the best stability and control. Furthermore, drivers should never operate a vehicle with winter tires, and summer tires fitted together, or mix non-run-flat tires with run-flat tires. The best choice is to replace your tires with the exact tire that the manufacturer fitted to the vehicle. The manufacturer of the car will have placed a tire specification plaque, usually, inside the driver's door opening, stating the ratings, size and air pressures for the tires recommended for this vehicle. Follow these specifications to the letter when replacing your tires and you will have years of safe, troublefree motoring. The tires supplied with your vehicle are covered against defects in material or quality under the warranty coverage of your new car. Normal wear is not, and that may occur before the vehicle warranty expires and replacement will be at your cost. Most tire manufacturers today offer a limited tire warranty on new tires to cover you from road hazards like sharp road debris causing cuts and punctures, or flats from deep pothole damage for the first few months or even in some cases the life of the tire.